.AE domains are for businesses and individuals who are interested in expanding or protecting their brand in the United Arab Emirates. Whether a native or local, a .AE Domain Registration will give your website the credibility needed to succeed within the UAE. 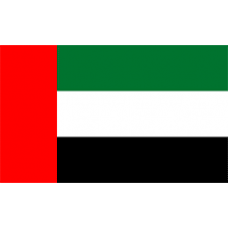 The United Arab Emirates was founded in 1971 as a seven-nation federation; however, as the years went on, the nation was formed and began to prosper. Today, the United Arab Emirates is one of the hottest tourist attractions. .AE Domains will give your brand access to the UAE as well as the Middle East. Register .AE United Arab Emirates to show your dedication to the people and businesses of the UAE.